For several decades in modern medicine history, human race has been used as a constant variable to predict and/or determine our disease risks, biometric profiles, health behaviors and outcomes. It drives many of our medical standards, including clinical guidelines, medical school curricula, and clinical decision support tools and algorithms. This reductionist approach to medicine, however, has proven questionable and risky for biracial and multiracial individuals with high levels of phenotypical (physically-apparent) and genotypical (physically non-apparent) variation. Some clinical study reports describe how race-based approaches to health diagnosis and management have led to inaccurate assessments in medical practice, especially in cases of bone marrow transplants for multiracial populations. Susan Graham is the president of Project RACE (Reclassify All Children Equally), an organization advocating for multiracial classification in health care settings for people of two or more races. In an interview with the Genetic Literacy Project, she explained that “a multiracial person’s best chance of bone marrow donor acceptance must take [multi]race into account to get as perfect a match as possible.” That’s why we need to do more, as a society, to expand the number and diversity of bone marrow donors to help solve this issue for multiracial populations, she said. 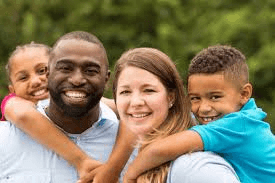 Race versus genetics: Social constructs or health determinants? The idea of race as a social construct has been well researched, with some classically defined racial groups experiencing greater hardships – including poor access to health care services – than other racial groups in the US. Questions also have arisen regarding the use of race as a health determinant, due to recent advancements and novel findings in genomics, ancestry, and medicine. 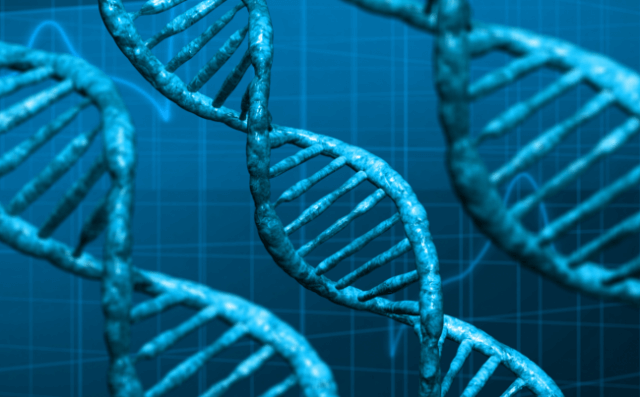 For instance, single- and multi-gene tests for harmful genetic variations in BRCA1 and BRCA2 are used by doctors to identify people with increased risk of developing breast cancer. As a result, those people undergo closer medical surveillance, take more aggressive prevention measures, and are more likely to receive appropriate treatments when needed. From an epidemiological standpoint, the concept of race as a determinant of breast cancer diagnosis follows: According to the National Cancer Institute (NCI), American women of Ashkenazi Jewish ethnicity or descent, followed by women of northern European ethnicity or descent, hold the highest prevalence of breast cancer-associated BRCA1 and BRCA2 variations. This finding may be influenced by personal, social, economic and environmental factors that influence health care service utilization among racially-defined groups. However, if women of Ashkenazi Jewish and northern European descent in BRCA1 and BRCA2 are overrepresented in genetic databases, then the NCI’s findings are incomplete and warrant investigation to see if larger genetic representations of single race, biracial and multiracial individuals are required for greater epidemiological accuracy. The All of Us research program, sponsored by the National Institute of Health (NIH) and supported by the Precision Medicine Initiative, are examples of steps forward in this direction to increase diversity in genetic health databases. The graph below displays the number of articles searchable within www.PubMed.gov between 1998-2017 using search phrases “race AND clinical guidelines” and “genetic AND clinical guidelines”. The graph shows that clinical guidelines discussions about genetics have drastically outpaced those about race within the past 20 years. Similar discussions about multiracial populations, however, have been scant, leaving this area ripe for scientific exploration. “The multiracial population is very new to the concept of precision medicine, as we are still fighting for recognition in medicine and race-based data,” Graham said. The medical community is lagging in its inclusion of biracial and multiracial Americans, she said. Multiracial populations seemingly add layers of complexity to standard race-based clinical guidelines. So, is the medical community really lagging here? Or, are biracial and multiracial patients lumped into single racial categories by clinicians who must adhere to race-based clinical guidelines? Also, how can members of the medical community effectively engage with growing multiracial populations to improve racially-driven clinical guidelines that may not adequately serve the unique needs of multiracial populations? She argued that the use of a simple “multiracial” category is a reductionist and low-value approach to understanding a patient’s disease risk at the genetic level. “This kind of lump-labeling does a disservice to population and personalized health frameworks that rely on geographic ancestry, versus race, to determine disease risk,” she said. The medical community continues to debate race as an indicator of social and economic factors, which in turn effect health outcomes. “Health disparities that are present within African American/Black patient populations, may be actually be tied to low socioeconomic status, poor diet, lifestyle habits and other non-genetic determinants of health,” she said. Diversity and inclusion in precision medicine and genetic discovery followed by an overhaul of racially driven clinical guidelines and racial labeling in clinical settings appear to be key actions needed to address these health care challenges for multiracial populations. Dr. Clayborne believes that, as the precision and personalized medicine movement grows – due to advances in genomic sequencing – the medical community could eventually steer away from racial categories to focus more on individual family history and known genetic markers for disease.